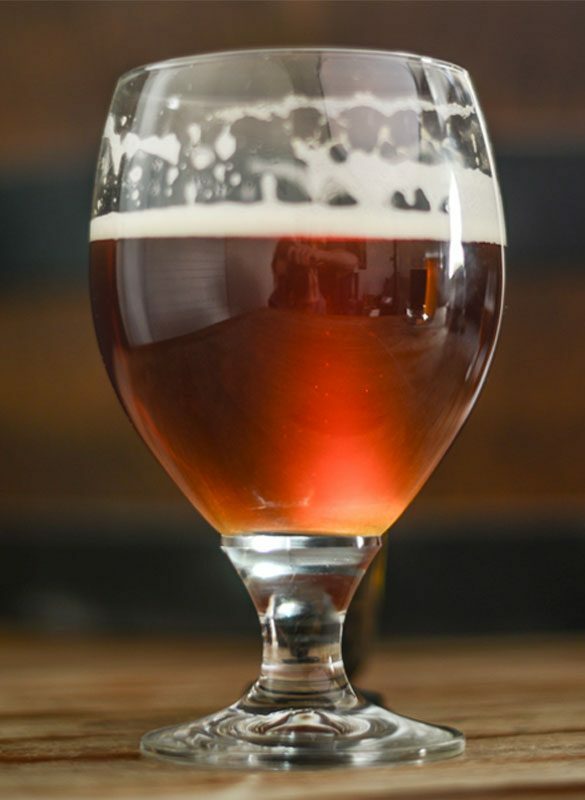 A well-made Belgian-style beer does not have a solventy, hot alcohol flavor, which is why fermentation temperature of this classic style is key to ensuring your dubbel doesn’t end up with a harsh alcohol taste. This recipe has a complex, malty, rich aroma topped off with mild tartness from the cherry concentrate. If you can afford the Belgian candi syrup and it’s available to you, it’s definitely worth adding to your ingredient list, as it adds a more intense flavor and aroma than Belgian rock candi sugar. If you can’t find Belgian candi syrup, a great alternative is molasses. This recipe was originally featured in the May/June 2007 issue of Zymurgy magazine. Conduct a mini-mash in a 3-gallon (11.4 L) stock pot using a 5-gallon (18.9 L) nylon mesh paint strainer bag from the hardware/paint store. Crush the grain and put it in the mesh bag. Heat 6 qt. (5.7 L) water to 165°F (74°C) (a ratio of 2 qt./lb. or 4.2 L/kg), and immerse the grain bag. Make sure all the grain is thoroughly wetted quickly and check the temperature. 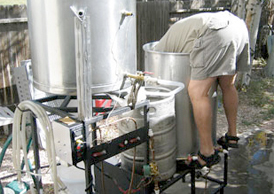 The mash temperature of the grain and water should now be about 150–155°F (66–68°C). Let mash sit for a half hour. Add heat while stirring to raise the temperature to 155°F (68°C) and let mash sit for another half hour. Place 2 gallons (7.6 L) water in a 5-gallon (18.9 L) boiling pot and heat to 165°F (74°C). Lift bag out of the first pot and let it drain for a minute before transferring to another pot. Swirl the bag in the pot to re-wet the grain and let it sit for 5 minutes. Lift the grain bag, drain, and discard the spent grain. Add the wort from the first pot and the 3.3 lb. 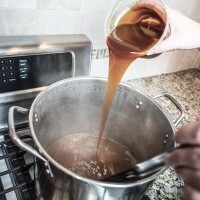 (1.49 kg) of liquid light malt extract to the second pot, and begin your boil. Wait for the hot break to occur, and then add the hops. Boil for 60 minutes. Add the remaining 3.3. lb. (1.49 kg) of liquid amber malt extract and the dark candi syrup during the last 10 minutes of the boil. Stir to prevent scorching. 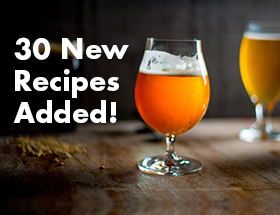 Chill the wort and dilute in the fermenter to 5 gallons (18.9 L). Pitch 2–3 vials or packs or White Labs WLP500 for a good pitching rate, and aerate thoroughly. 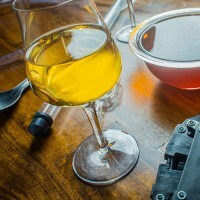 Add the cherry juice concentrate after the third of fourth day of fermentation after activity has slowed.